Tesh provides opportunities for individuals to be productive, contributing members of their community while meeting the needs of employers and businesses. Ability Works is an invaluable source of employees who are qualified and committed to exceeding employer’s expectations. Our Employment Specialists carefully match your job requirements to the skills and interests of our job seekers. If you are plagued with chronic turnover, unappreciative employees, or poor dependability; then Tesh has a solution for you. 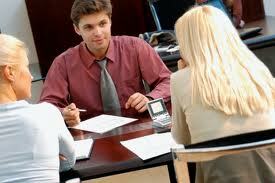 our job candidates are highly motivated and prove to be dedicated employees. We have placed individuals who have worked for local employers for over 20 years and still love their jobs. Our Employment Specialists are especially trained and prepared to assist job seekers to find the right job. We listen to you, help you identify your strengths and interests, and match your skills with an employers needs. Whether you need help with resume’ development, interviewing skills, or more intensive supports, our staff can help you meet your vocational goals. Individuals receive training from a certified Job Coach, who uses structured intervention techniques to help the individual learn to perform job tasks to the employer’s specifications and to learn the interpersonal skills necessary to be accepted as a worker at the job site and in related community contacts. In addition to job-site training, job coaching includes related assessment, job development, counseling, advocacy, travel training and other services needed to maintain the employment. 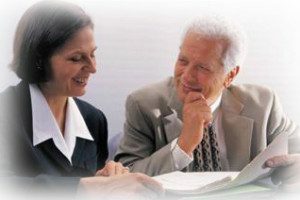 By placing a consumer directly in a job with the hands-on assistance of a job coach, areas of vocational and personal strength and weakness become apparent early in the process and are based on actual, the individual is able to receive immediate feedback, assistance, and follow-up from the support person; and an employer is able to take on and observe the progress of the consumer without a full commitment of personnel resources in the beginning of the process. Project SEARCH is a one-year transition program for students with disabilities who have met all academic requirements for graduation. 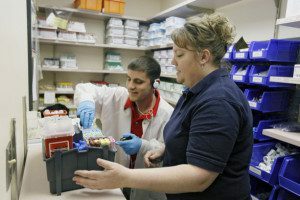 Located at Kootenai Health, the program combines classroom instruction with school-year long unpaid internships. Social Security beneficiaries need accurate information about the impact of earnings on their benefits and the work-incentive programs. With a benefit analysis and counseling, individuals can make more informed decisions regarding employment. A significant barrier to employment is the fear of losing health care and other benefits. Valuable work incentive programs can extend benefits, but are often poorly understood and underused. We help beneficiaries understand their choices and options. Any individual who receives SSI or SSDI benefits and wants to maximize their earning potential without jeopardizing their eligibility for benefits. Ability Works operates an Employment Network that is approved and recognized by the Social Security Administration. We work closely with SSI and Title II beneficiaries who are interested in learning about the impact of working on their benefits and exploring the advantages of returning to work. Our highly trained experts will help you understand how earnings may impact your cash benefits, housing subsidies, health coverage and other benefits. After a thorough free consultation, if you decide that maximizing your income is best for you, we will help you to develop vocational goals and a plan to obtain employment. Our Employment Specialists can even help you find the job that is right for you. If yo have received a “Ticket to Work” in the mail from the Social Security Administration or just want to learn more, call Dave Jacobson at our Ability Works office at 208-292-0149. You will be under no obligation and Al information is kept strictly confidential. 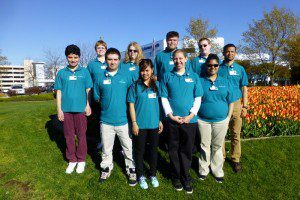 Each summer Tesh partners with the Idaho Division of Vocational Rehabilitation (IDVR) and local businesses to offer an opportunity of short-term paid employment for 50 students ages 16 – 20 that are still enrolled in school. Individuals “must be eligible for and receiving special education or related services under IDEA”. The program begins for the students the week of June 18th with a five day training week taught by certified teachers. Beginning the week of June 25th they begin their five week, twenty hour a week employment journey. Job Support Staff will be on hand as needed at the job sites to guide the students and help them get accustomed to their new duties. For more information please contact Tesh’s Vice President at (208)765-5105.